Our dogs are communicating with us all the time, but we aren’t always adept at understanding them. But everyone wants to be heard, even our dogs, and the best way to help them live a good life is to master the canine “language” of subtle facial expressions and body postures. 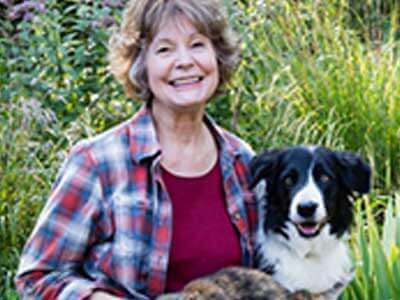 Join Patricia McConnell for a video and slide presentation, that includes sheep and sheepdogs doing a lot of “talking to eachother” without any words. Join us and other dog lovers for an entertaining and informative evening. Dr. Patricia McConnell will be the featured speaker for the 10th Anniversary of the Vashon Sheepdog Classic. Dr. McConnell will be speaking at the Kay White Hall on Saturday, June 8 at 7pm. Patricia is a gifted speaker and writer– one of the most sought after dog professionals in the world. Don’t miss an opportunity to see her!